Casey's Fordham family member and 8B roommate, Christina Halligan, directed the play, "Three Days of Rain", dedicating the show in loving memory of Casey. In addition, in Christina's bio in the program, it is noted, "And to Casey, you have taught me the imporatance of home and love. This one's for you." 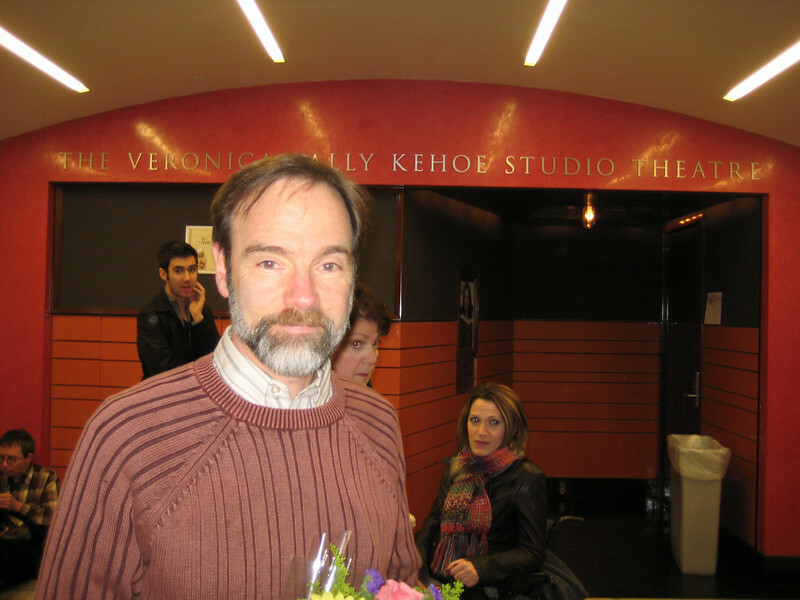 The play ran on Dec. 7, 8, & 9, 2009 in the Kehoe Theatre at Fordham's Lincoln Center Campus. It was a spectacular theatrical production of which Casey would have been extremely proud. Way to go Christina and all those involved in the production! Joel outside of the theatre before the performance on Dec. 8th.